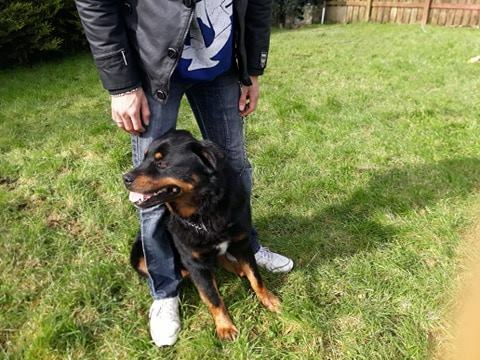 Meet Teddy, a love male Rottie X Labrador, he is around eighteen months old, neutered, vaccinated and micro-chipped. He is a lovely natured dog and will be a lovely companion. Teddy is best as an only dog as that is what he was used to, he is not good with other dogs or cats and best suited to a home with older children. Teddy will need a secure garden and a home check. If you can offer him a home, please fill in our online inquiry form and we will take it from there. PLEASE NOTE: If you live in a council or rented property,written permission from the council or landlord/owner may be required. The animals are the property of the Roscommon SPCA and will be re-homed at the Roscommon SPCA discretion. 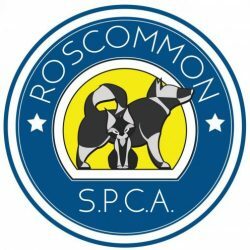 The Roscommon SPCA can refuse to re-home an animal without giving a reason and cannot accept responsibility for the temperament or behaviour of any of our animals after re-homing.